PAWLEYS ISLAND, SC – It’s said “…the exquisite setting ultimately drew Jack Nicklaus to Pawleys Plantation.” That might be an understatement. This Jack Nicklaus Signature Course truly is a thing of beauty from both visual appeal and playability. The accolades, awards and recognition have come from a virtual who’s who in the golf community. Golf Digest, Golf Magazine, Golf World, Golf for Women, Zagat/ESPN, Fodor’s, Travel + Leisure Golf and the list goes on. All have sung the praises of Pawleys Plantation. What really sets this course apart is how seamlessly the architectural design flows with the natural surroundings of South Carolina’s Lowcountry. The result is no two holes are alike and that makes for a memorable and very enjoyable round of golf. Make no mistake, although Pawleys Plantation is visually stunning it is a true test for all levels of play. Five sets of tees each named after a native bird (with one notable exception!) provides an opportunity for every golfer. The Golden Bear Tees are a staggering 7026 yards with a rating of 74.5/142. The Blue Heron Tees are 6522 yards with a rating of 72.0/135. The White Egret Tees are a manageable 6127 yards and rated 70.0/129. The Yellow Finch Tees are 5534 and rated 67.7/121 for seniors and 73.2/131 for ladies. The Red Tail Hawk Tees are 4976 yards at 70.5/124. The Tif Eagle Bermuda grass greens are not overly large, but do present a putting challenge with generous undulation. Having played about 3-weeks after the greens had been plugged, they were returning nicely and should be in great shape for the fall golf season. Sand hazards protect many of the greens, but are mostly located to the sides and seldom force a carry. They seem to be placed to catch errant shots. Waer, marsh and waste bunkers protect the challenging par 3s. The fairways at Pawleys Plantation deserve attention. They are in great shape and although they may appear narrow, they really do have some width. What gives the impression that there’s little room for error is with just a few exceptions every Par 4 and Par 5 is lined with waste areas, fairway bunkers, marsh, water or OB. Each hazard stands ready to punish the erratic drive. Just so you guys that always hit it straight down the middle have something to think about, Mr. Nicklaus left a few large native trees in the fairways. The course for all its merit can be very penal. Chunk a drive 100-yards in the fairway and you’ll have an opportunity to salvage par, or bogey at the worst. Hit a drive 250-yards with a slight pull and you may be losing stroke and distance, or at best hitting three beside the marsh. Bring you’re A-game to the tee box. When playing Pawleys Plantation remember you are at sea level. Add an extra half-club to your approach shots. The course uses the more traditional yardage markers, sprinkler heads and 250-yard to 100-yard center of the fairway, center of the green markers. Keep your drive in the fairway and you’ll have no difficulty finding a yardage marker. You really will want to arrive early enough to take full advantage of Pawleys Plantation outstanding practice facility. A wide driving range easily accommodates large groups. A chipping and sand bunker along with a large putting green are reflective of what you’ll find on the course. From bag drop to pro shop the staff was great. 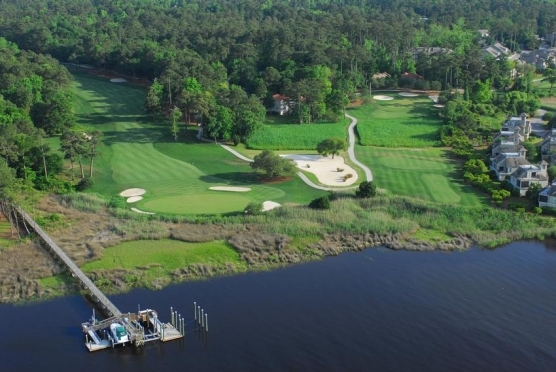 Just weeks before playing the course, the Myrtle Beach National group bought the resort and are now managing Pawleys Plantation. They have an outstanding reputation for superior service and operations. All new merchandise will be arriving at the pro shop in just a few days and already the Pub is receiving very positive reviews. 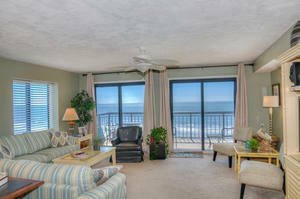 Regardless of where you stay on your Myrtle Beach area golf vacation, Pawleys Plantation should be on your play list. It’s well worth the drive!